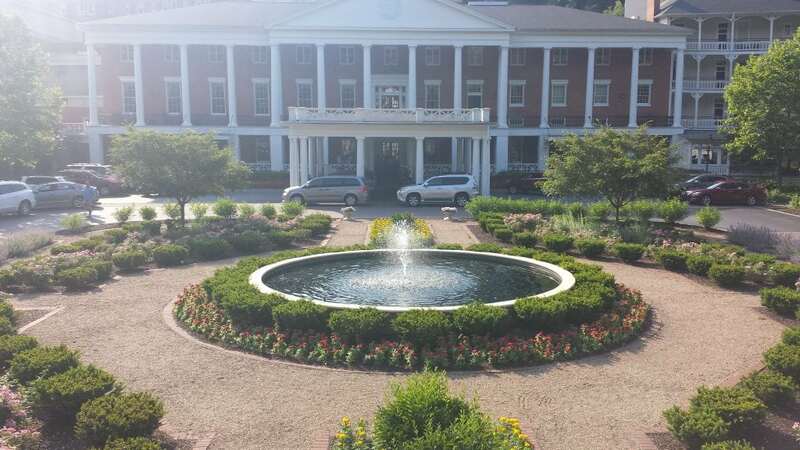 As young America progressed through innovations of industry and development, Omni Bedford Springs was at the forefront of resort grandeur and vacations. Railroads brought city folk to the great wilderness getaway when golf was new to the country. The initial course at Bedford Springs was 18 holes designed by Spencer Oldham. Later Mr. Tillinghast reduced it to a nine-holer and Donald Ross returned it to its present day 18-hole championship course. They all had the perfect canvas on which to complete their artistic talents in the Cumberland Valley. Banked on either side of the valley floor are dense forests of pine, maple, oak and birch. Every hole is named for its particular style and design. Names like volcano, the gulley and Ross’ Cathedral announce the golfers’ unique challenge. Golfweek annually ranks the Old Course at Bedford Springs as the #1 public/resort course in Pennsylvania. The Old Course weaves its way around the natural flow of marshes, ponds and spring fed streams. It is the natural mineral springs that drew the first tourists for the healing qualities of the water. 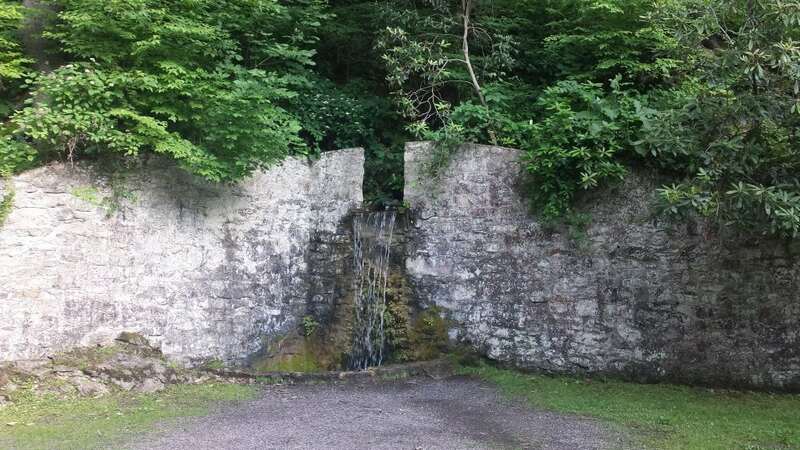 Today guests may hike the spring trails to see the fountains spewing efficacious iron or magnesium and more. Maps are clearly marked and arranged from easy to extreme walks. The thick forest is where the fern grows for bedding of wildlife. White tail deer prance through the woods. Guided nature hikes are available too and around the resort fun games are played outside on the lawn. If you are more adventurous, bike, take a Segway tour, go white water rafting or fly-fishing. For relaxation, the Aquatic Center delivers food and beverage poolside outdoors. 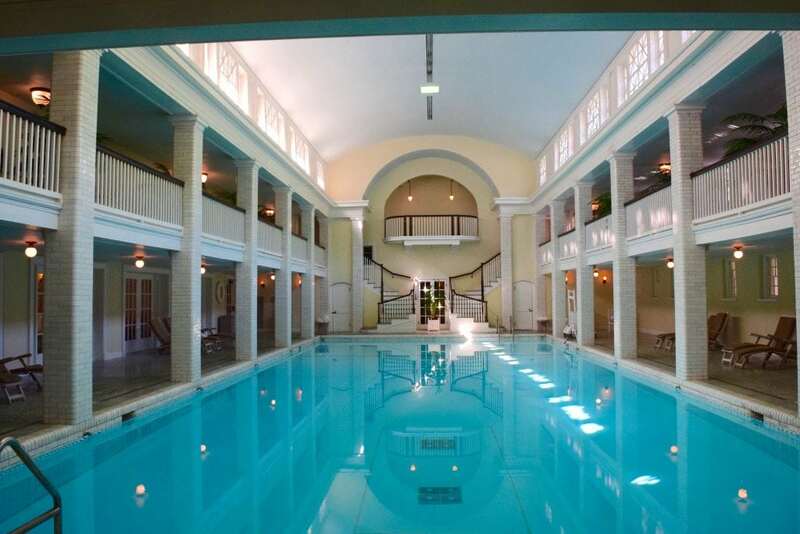 The indoor pool has mineral spring fed water. Nothing says tranquility like a spa. The Springs Eternal Spa has all the amenities you might expect from a world-class resort with an array of specifically designed treatments all including the natural spring water. The rich mineral springs are incorporated in the cold plunge pools separately in the men and ladies’ locker rooms. Make time for the unique water ritual sauntering between saunas, soaking in the hot tubs, cold plunge pools and showers. Streaming with wonder, bathed in nostalgia, this is one of the most aesthetically pleasing spa settings. After all the adventure, superb replenishment is found on premise. The Crystal Room with its open kitchen, white linen tables, and gallery of past patrons over two centuries is a perfect fine dining experience. Opened daily at 6:30am a great breakfast buffet or extensive menu begins the day. Culinary delights are abundant on the menu with the Filet making our BEST LIST. It is so tender you may not need a knife to cut it. If a period atmosphere rings your dinner bell, the 1796 Room Steakhouse calls with old time tavern style rooms. Quilts from the 1800’s adorn the walls behind glass for preservation. 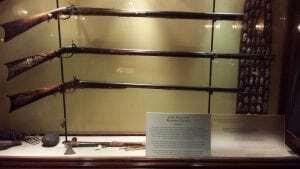 Long rifles of the earliest settlers and gun makers are particularly interesting with their ornate carving and design. If the walls could talk! The restaurants share their best secrets of the menu with meats from the local 1855 meat company. Again, we recommend the filet here. Tender, moist and grilled to perfection, pair it with the ample selection of wines and signature cocktails. After the evening meal, guests may enjoy the Frontier Tavern for a late night libation and billiards. The outside fire pit is a focal point with rocking chairs drawing patrons together from all parts, including Mars (just an hour away). The Sweet ’16 theme at the Omni Bedford Springs is Maple Magic. Find the maple mixed in mayo for dipping sweet potato fries poolside and throughout the resort’s restaurants. The real magic and charm of Bedford Springs however is the hotel itself. Steeped in historical significance, this is where President Buchannan received the first transatlantic telegraph from Queen Elizabeth extending an olive branch. More presidents and royal families have graced the grounds. As you stroll thru the hallways portraits illuminate the lifestyle and fashions of a genteel era. The architecture and décor of Omni Bedford Springs delivers panache and style every step of the way with cozy corner seating, fireplaces, a library here and an auto player piano there. Rockers are shared on second story room balconies. Bedrooms are decorated like Grandma’s fine parlor with sweet little vanities and favorable full length mirrors. The Omni is simply inviting.